While searching for Thundrillium, LION-0 discovers that there is a tribe of tiny people on Third Earth. They are furious with the THUNDERCATS because every time they roar out of the Cats’ Lair in the ThunderTank or battle the MUTANTS, or MUMM-RA, they flatten the little people’s villages, homes, and crops. The little people, the MICRITS, take revenge against the THUNDERCATS by confiscating all of their weapons and vital THUNDERCAT equipment – thus leaving them vulnerable to the MUTANTS. The MUTANTS seize this perfect opportunity and attack the Cats’ Lair. Without their weapons and machinery, the THUNDERCATS are forced to fight barehanded. Meanwhile, the MICRITS capture LION-0 and the Sword of Omens, and pin them down to the group with light strands of Thundranium. 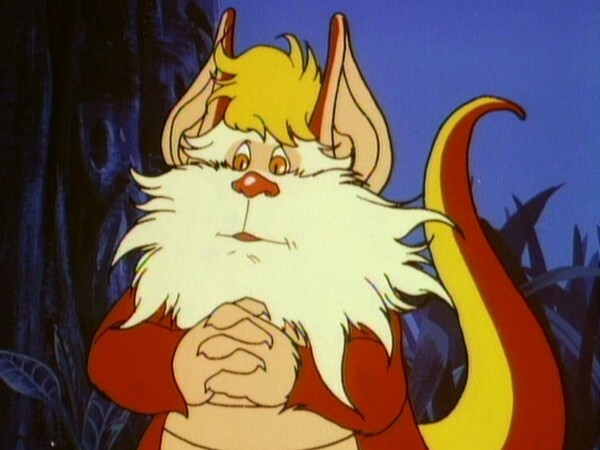 SNARF searches for LION-0 and when he finally finds him, LION-0 offers SNARF as a captive in exchange for himself, if the MICRITS will let him go. LION-0 reasons that if the MICRITS allow the MUTANTS to battle the THUNDERCATS without their weapons and machinery, the THUNDERCATS will be defeated and with the MUTANTS in charge, terror and destruction will reign on Third Earth. The MICRITS agree. LION-0 signals the THUNDERCATS with the Sword of Omens and takes the THUNDERCATS’ confiscated weapons to the Cats’ Lair. LION-0 returns the weapons to each of the THUNDERCATS and the MUTANTS are defeated. Keeping his word, LION-0 returns to the MICRIT village and SNARF is released. The THUNDERCATS set up a marker system delineating the boundaries of the MICRIT territory. The ThunderCats, being unaware of the tiny Micrits, unwittingly cause damage to their community. 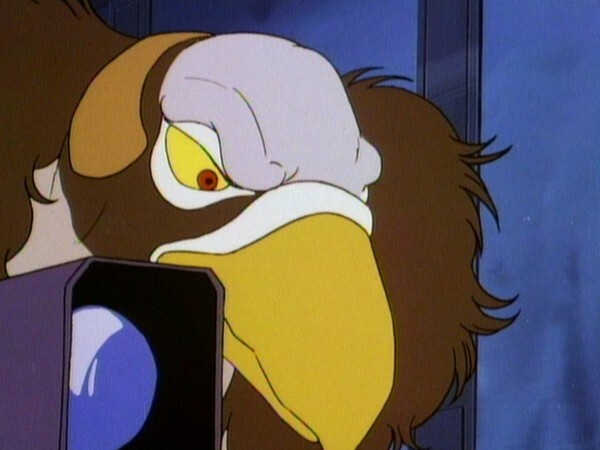 Angry, the Micrits fought back and, in turn, almost unwittingly helped the Mutants defeat the ThunderCats and spread evil and destruction willfully. 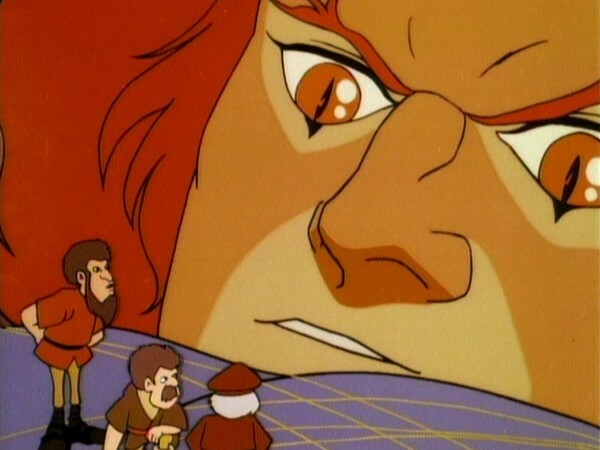 Lion-O convinces the Micrits to agree to a pact to free him long enough to rescue the other ThunderCats. Bringing their weapons to the besieged Lair, Lion-O and the ThunderCats rout the Mutants. Afterwards, to prevent further damage to the Micrits, they alert themselves to the boundaries of their territory by erecting signposts. Frequently, a bad outcome, for example, some damage or hurt feeling in others, is the result of our inadvertently doing something without full knowledge or after not paying attention. The lack of knowledge and awareness on our part can have serious repercussions. In evaluating the wrongdoing and our blame, it is important to distinguish our knowledge from our intent. Our blame is less if we do something wrong by accident than if we do it knowingly. 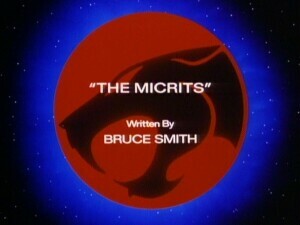 In this episode, the ThunderCats caused damage only because of their lack of awareness of the Micrits’ existence. The Mutants, on the other hand, sought by intent to cause destruction. Nevertheless, whether a bad outcome is the result of inadvertence or wrong intention, the damage and suffering is real. Therefore, we should not only avoid intending something wrong, but we should also seek to be as aware of things as we can and to be sensitive to others’ feelings. In that way, we can avoid causing negative results inadvertently. Our chances for avoiding wrongdoing and problems are much better when we are aware, attentive, and sensitive to our surroundings. All throughout literary and fantasy history there have been diminutive characters featured heavily, whether it be the Lilliputians of Jonathan Swift’s Gulliver’s Travels or the Hobbits of J.R.R. Tolkien’s Lord of the Rings, and as such, guest characters of this type are often staples of fantasy storytelling. In this episode, that element finally makes its way into ThunderCats courtesy of the introduction of the Micrits, a race of miniature Third Earthers whose lives are under threat simply because they are too tiny to be noticed by the planet’s regular­sized races. 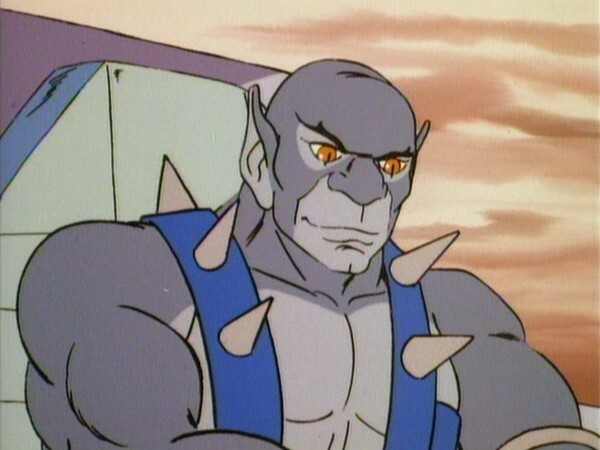 On paper, the introduction of the Micrit characters might seem like a fairly weak or overplayed plot device, and one that ill fits with the rest of the ThunderCats universe – however, the results are actually surprisingly effective, with the Micrits themselves proving to be very believable characters. 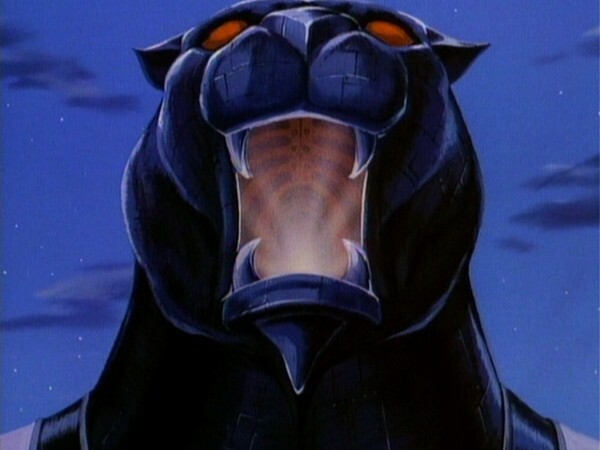 Although initially their sabotage of the Cats Lair and imprisonment of Lion­O means that the audience perceives them as an enemy, in actual fact throughout the course of the episode this perception is gradually changed as the plight that they face becomes more and more evident, thus instantly marking them out as some of the series’ most interesting and effective guest characters. This episode is the first of two to come from the pen of Bruce Smith, and, whilst it’s true that a lot of what makes this episode so entertaining is the fantastic animation, direction and execution of the many action sequences that take place in Cats Lair, nonetheless he covers himself in glory by the way he intelligently weaves two plots (the Micrits’ plight and misunderstanding of the ThunderCats, along with the Mutants’ capitalising and invading a defenseless Cats Lair) into one seamless whole, creating a story filled with brilliant suspense and dramatic moments. 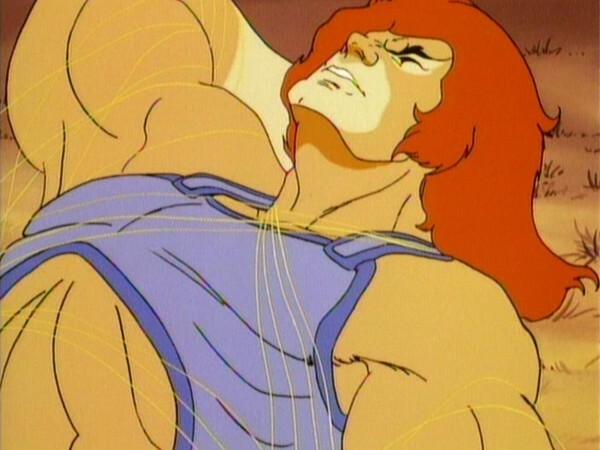 Whilst this episode relies heavily on action sequences, which are of course a ThunderCats trademark, one of the tests for an action­packed episode of ThunderCats is how “organic” the action sequences feel – which is to say, how much the action sequences feel as though they occur naturally rather than are slotted into the episode to pad out its running time or disguise a weak story. In this episode, all the action feels logical and genuinely suspenseful, having been set up by the expertly crafted and intelligent storyline, and the episode really shines as a consequence. There are two very minor and yet highly noteworthy elements to this episode, the first of those being how effectively it manages to establish the Mutants as a credible threat. 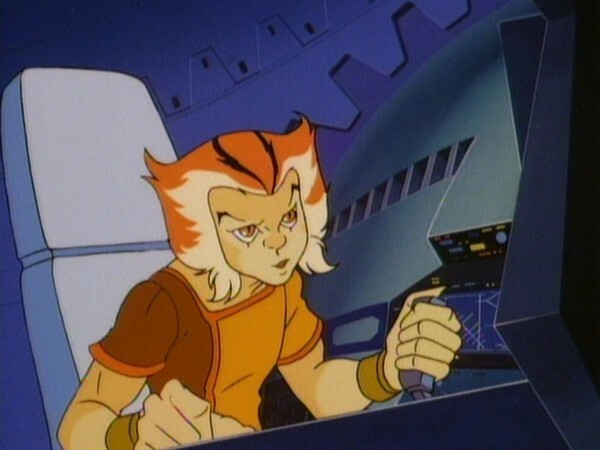 Throughout the course of the ThunderCats series, the writers had two ongoing problems – all the time Lion­O possessed the Sword of Omens it made the ThunderCats nigh on indestructible, and also that there was only so much sense of menace that could be generated from the Mutants. Whilst never played for the comedy value that some villains from the world of 1980s animation were, nonetheless the writers were only ever able to take the Mutants (and, indeed, any of the ThunderCats villains) so far, due to the constraints of the genre and its target age group, thus meaning that there could conceivably come a point at which the Mutants no longer felt like a threat to the audience, thus reducing the dramatic impact of the ThunderCats’ adventures. In this episode, that sense of threat is (albeit briefly) re­established, with the ThunderCats robbed of their technology and weaponry, and also robbed of their leader with his all­powerful Sword of Omens. And that leads nicely into the second noteworthy element of this episode, and that is how much Lion­O’s rallying cry when he arrives in Cats Lair manages to galvanise the ThunderCats, with Tygra proclaiming it a “whole new ballgame!” This little sequence shows just how much, in spite of his youth and relative inexperience, the ThunderCats actually rely on Lion­O as a force to shift the momentum of battle in their favour, both as a natural fighter and leader, and also as the wielder of the Sword of Omens that is their most powerful weapon. All of which is a ringing endorsement for a beautifully executed episode with a surprisingly effective plot and some of the series’ best guest characters. In fact, for some reason the word I keep coming back to with this episode is “beautiful” – reason enough for me to class it as one of the strongest from the latter half of season 1! In this episode, Cheetara’s staff is referred to by Lion­O as her “baton”. The little­ used stock animation of the Sword of Omens extending at an angle, first seen in “Return of the Driller”, is shown again in this episode (albeit with a different background). One of the more unusual things about this episode is that, when the other three Mutants attack and invade Cats Lair, Monkian is nowhere to be seen! 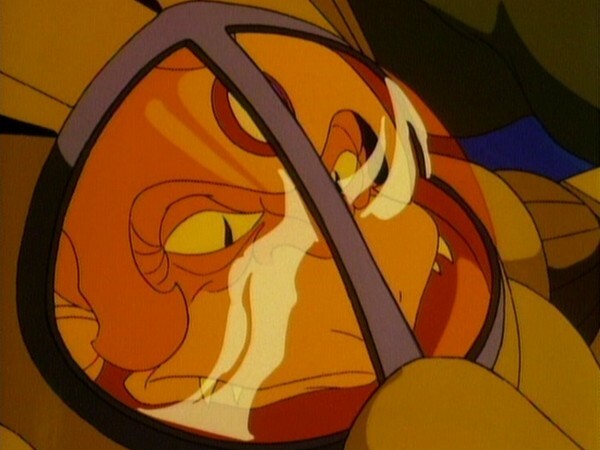 This episode marks only the second appearance of Wilykit’s unique attack manoeuvre, whereby she curls up into a ball and launches herself at an enemy, first seen in “The Tower of Traps” exactly 40 episodes earlier! This is the first of two ThunderCats scripts to be penned by Bruce Smith, a character animator, film director, and television producer, best known as the creator of Disney’s The Proud Family. Following his work on ThundeCats, Smith joined Disney and worked on various projects such as Tarzan and The Emperor’s New Groove, as well as co­directing the animated segments of Warner Brothers’ Space Jam.